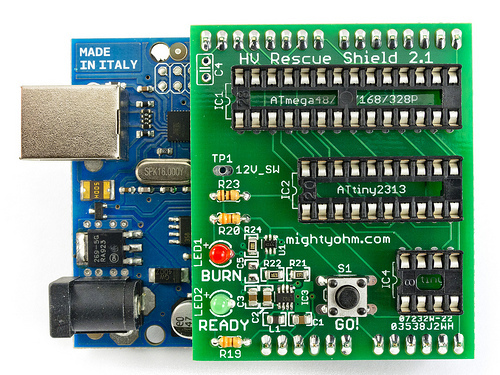 The HV Rescue Shield 2.0 is a high voltage parallel mode fuse programmer for Atmel AVR microcontrollers. The HV Rescue Shield 2.0 is in stock and ready to ship today! Scroll down to place an order. 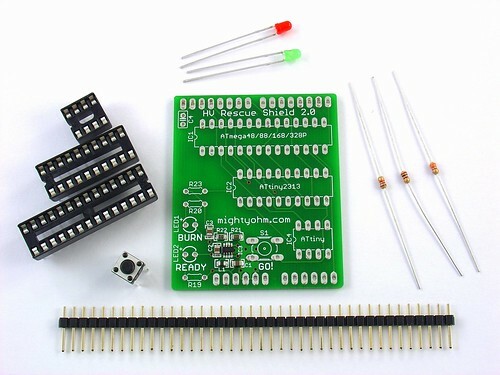 Reduced price, kit is now only $19.95 (was $24.95). This means the kit is lower cost, but with more supported parts! Visit the HV Rescue Shield 2.x product page to place an order. Got the product yesterday…easy to assemble. I was able to change fuses on several atmega328p chips. On one chip the fuses were stuck at 3 and could not be changed. Any suggestions? If the chip is damaged, the fuses can’t be rewritten. I’ve seen this happen several times before. 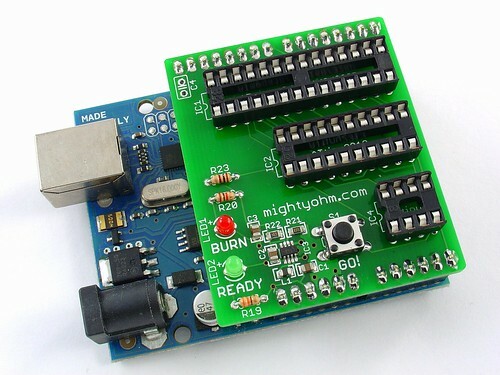 The internal fuses of the chip can be damaged, making it impossible to reset them.